FINALLY after over a month of waiting the Summer 2013 collection items are showing up in Canada. However the catch is that we only getting 3 of the 8 shades release in Canada so far from the collection. 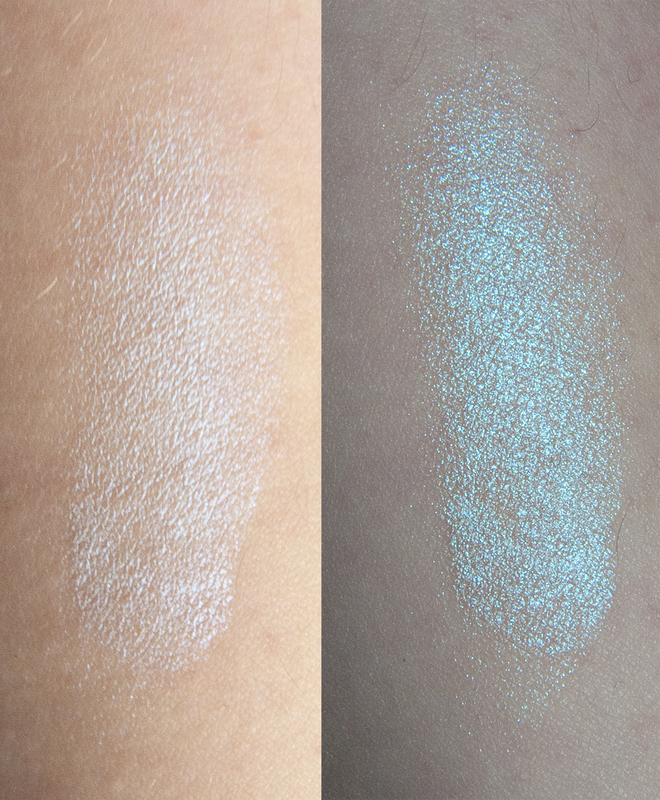 The shades are Waves of White, Icy Mint, and Precious Pearl. They retails for 11.99CAN at Shoppers Drug Mart on so far in terms of where to get them. The colour is a turquoise blue with a lot of reflection of light bounce back. The shade also turn pink in hue at a 45 degree angle when looking at it. But I was unable to capture that one camera. 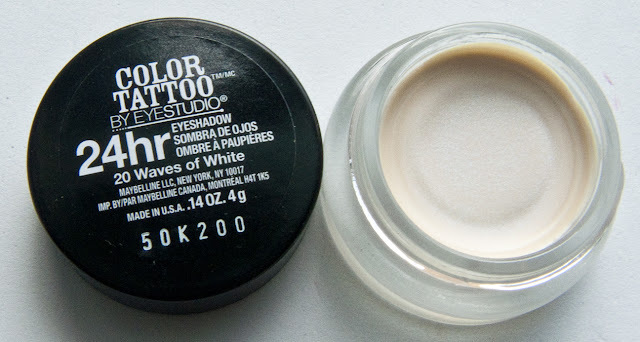 Wear: 16 hour wear with some fading at the end of the day own their on for me. But it will crease if you don't allow it to set first. Packaging: Same glass jar as the rest. 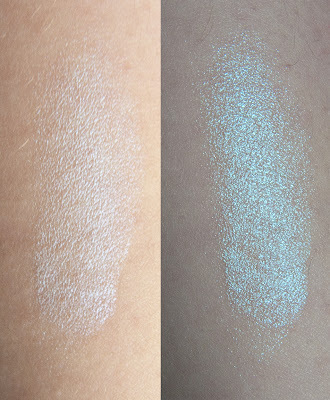 Compare: The shade is similar to Sugarpill Lumi and Naked Ivory stacks blue shade. It also reminds me of MAC Transparent Teal just just in a gel base. 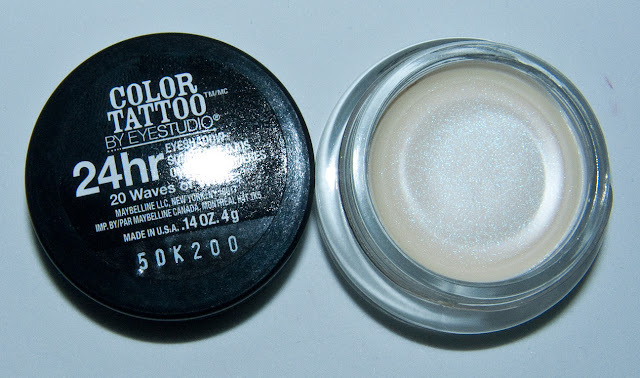 I'm very smitten with this shade although I prefer it as a layering colour or in the corner of the eye.